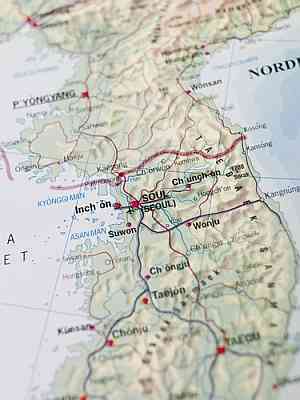 According to the CIA World Fact Book, South Korea had a population of 49,039,986 as of July 2014. Earlier counts estimated that South Korea had over 30 million main line telephones in use in 2012 as well as over 53 million mobile telephones. This translates into about 170 combined telephone subscriptions per 100 people. South Korea has an excellent telecommunications system both domestically and internationally with new technologies incorporated. In fact, South Korea is experiencing an e-commerce boom thanks to the rapid assimilation of telecom technologies. 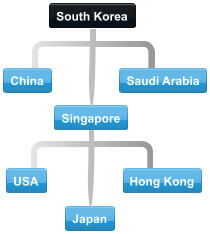 South Korea's telecommunications system is connected to the rest of the world via satellite (66 earth stations) and multiple submarine cables that link to Asia, Europe, Australia, the Middle East, and the United States. The nation is served by multiple telecommunications operators including Korea Telecom and SK Broadband which are both fixed line and mobile operators as well as mobile operators such as LG U+ (LG Group). Business professionals throughout South Korea can benefit from international conference calling services that bypass the domestic system and connect them with participants from around the world. 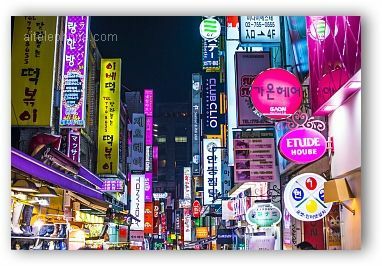 Whether you're located in South Korea and would like to host an international conference call or located elsewhere, you do not necessarily need to host the call using one of South Korea's telecom carriers. In fact, you could use an international conference call service provider based in the United States. Doing so can result in much lower per minute rates and access to the best international conference call features such as call recording and automated dial out. International conference calls to and from South Korea aren't just for business professionals. You can also set up a pay-as-you-go plan for connecting with family members or friends in South Korea. It's an affordable way to stay in touch despite geographic distances. Offer international toll free access numbers to your team members who travel abroad so they can easily connect to your global conference call meetings. Host multi-country conference calls. Our conferencing bridge is located in the U.S. but the moderator can initiate a conference call from any country on the Toll Free list. Antigua, Argentina, Australia, Austria, Bahamas, Barbados, Belgium, Bermuda, Brazil, British Virgin Islands, Canada, Chile, China, Colombia, Costa Rica, Cyprus, Czech Republic, Denmark, Dominican Republic, Ecuador, Finland, France, Germany, Greece, Hong Kong, Hungary, India, Indonesia, Ireland, Israel, Italy, Jamaica, Japan, Korea, Luxembourg, Malaysia, Mexico, Montserrat, Netherlands, New Zealand, Norway, Panama, Poland, Portugal, Puerto Rico, Russia, Singapore, South Africa, Spain, St. Kitts/Nevis, St. Lucia, St. Vincent, Sweden, Switzerland, Taiwan, Thailand, Trinidad, Tobago, UAE, UK, Uruguay and Venezuela. Your conference call guests located in South Korea can access your conference call by dialing an in-country Toll Free or local Seoul access number. For instance, your office in South Korea can join a conference with your team located in San Francisco, California and an architectural firm in Italy. You can use South Korea Toll Free access number from South Korea or the conference call host can use the dial-out feature to add attendees to the conference call in Seoul, Busan, Incheon, Daegu, Daejeon, Gwangju, Suwon-si, Goyang-si, Seongnam-si or any other city in South Korea. If your have a participant located in a country that is not listed, that participant can still access your conference call because the moderator can use our dial-out feature to add the participant to the conference call. Host international conference calls from Seoul, Busan or any other city in South Korea. Be a participant or the chairperson on South Korea conference calls. Your conference call attendees in South Korea can easily join your international conference call by dialing a local Seoul access number. Participate in international conference calls FROM South Korea Toll Free or use local access. You can use the service as a Participant or the chairperson from any city in South Korea. MP3 session recording makes it convenient to record and retain MP3 files of any recorded conference calls. Host conference calls even if your participants are in geographically diverse locations. We provide in-country toll free numbers within 100+ countries all sent upon account activation. Let the Conference Room Call You!